The perfect self catering holiday accommodation choice. 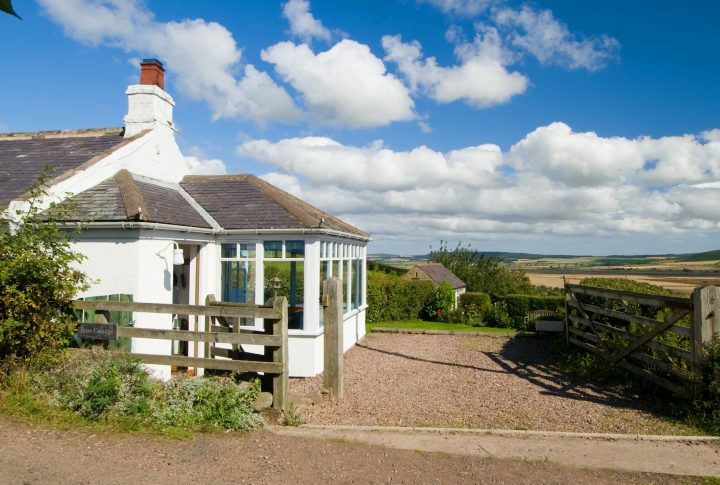 If you’re looking for a charming and peaceful getaway set in superlative countryside, then Rose Cottage is the perfect self catering holiday accommodation choice for you. 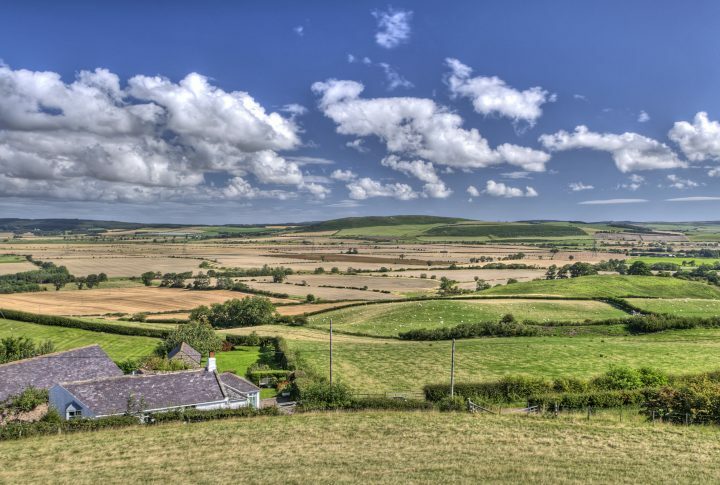 Set in the beautiful tiny hamlet of High Humbleton on the edge of the Northumberland National Park, visitors to Rose Cottage can walk the Cheviot Hills from the front door and take advantage of the stunning views across the Glendale Valley. Rose Cottage offers self-catering holiday accommodation with most of the amenities on one level. The cottage sleeps up to four guests comfortably. 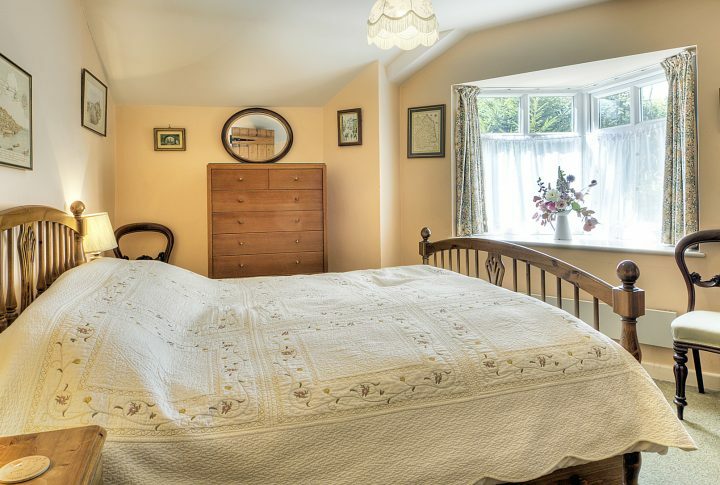 The cottage features two bedrooms, the larger one containing a king-size bed with four steps up to it and the other one very small single or twin, a sitting room with an open fire, a sun room with a dining table and a modern kitchen and bathroom. Rose Cottage offers self-catering accommodation which is conveniently situated close to the small Northumberland market town of Wooler which has a range of excellent shops, bars and restaurants. Visitors to Wooler can taste the specialities of the Northumberland area, such as Craster Kippers and Lindisfarne Oysters, as well as purchase abundant fresh local farm produce. Rose Cottage was our perfect cottage. It has a fantastic view, a large safe garden for our dogs, a lovely open fire and everything is provided for. The cottage is quiet with direct access to the hills and near enough to walk into Wooler with all its facilities, including the Milan Restaurant, great butchers and delicatessen. The Wi-Fi is better than at home. We hope to visit again soon. Rose Cottage was our perfect cottage. It has a fantastic view, a large safe garden for our dogs, a lovely open fire and everything is provided for. The cottage is quiet with direct access to the hills and near enough to walk into Wooler with all its facilities, including. Rose Cottage was our perfect cottage. It has a fantastic view, a large safe garden for our dogs, a lovely open fire and everything is provided for. 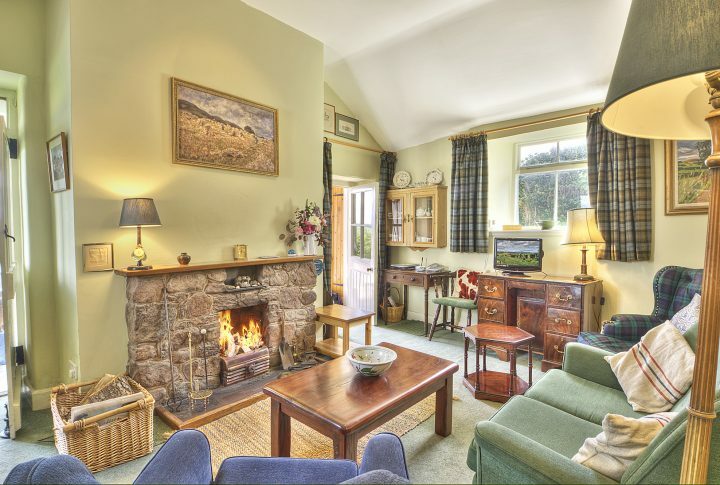 The cottage is quiet with direct access to the hills and near enough to walk into Wooler with all its facilities, including.Rose Cottage was our perfect cottage. It has a fantastic view, a large safe garden for our dogs, a lovely open fire and everything is provided for. The cottage is quiet with direct access to the hills and near enough to walk into Wooler with all its facilities, including. Not only are the views from the sun room spectacular but the eclectic mix of etchings, prints, maps, books etc in the cottage itself give a marvellous sense of "spirit of place". Fabulous days out and walks. Lindisfarne is both dramatic and precious! Walks were along the beaches and up on the hills. We don't want to leave this serene setting for the hustle and bustle of North London. Oh well, perhaps we can come back soon! The views are fabulous! It was so peaceful just sitting in the sun room and watching the birds in the feeder. Hubby enjoyed all the old photos and the books on the history of the area. Comfortable country living space with open fire with coal and logs provided. 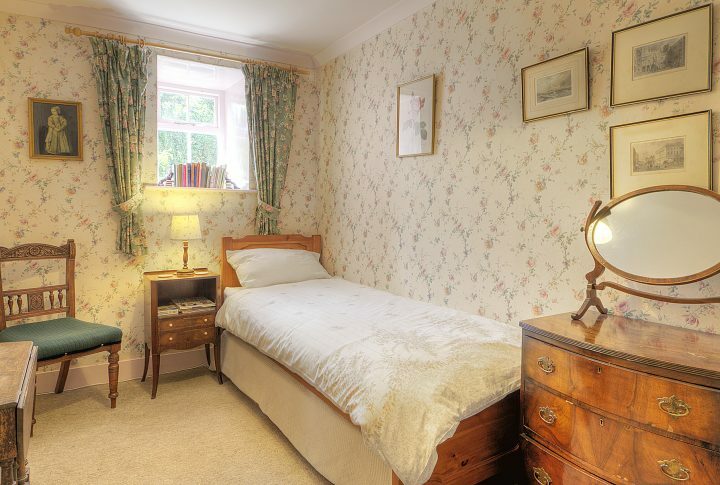 This room is part of the old cottage with thick walls and good, heavy curtains. Making it lovely and cosy when the weather is not so good. 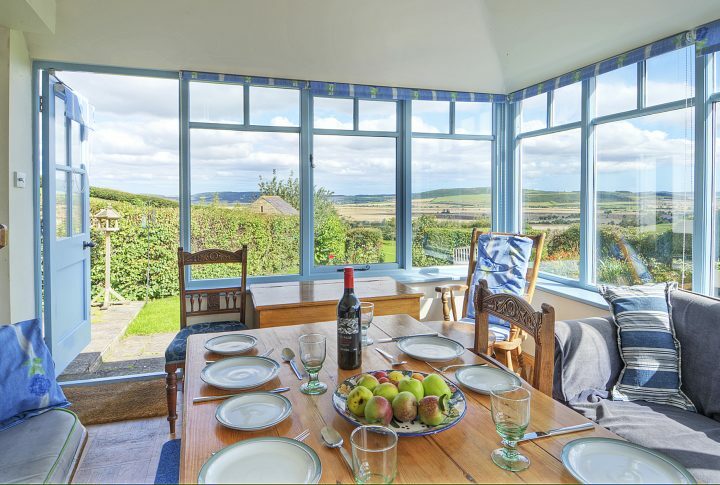 Enjoy the fabulous views of the Northumberland countryside from the comfort of the sun room. Includes a dining table to enjoy your meals around, whilst watching the ever changing views across the valley. 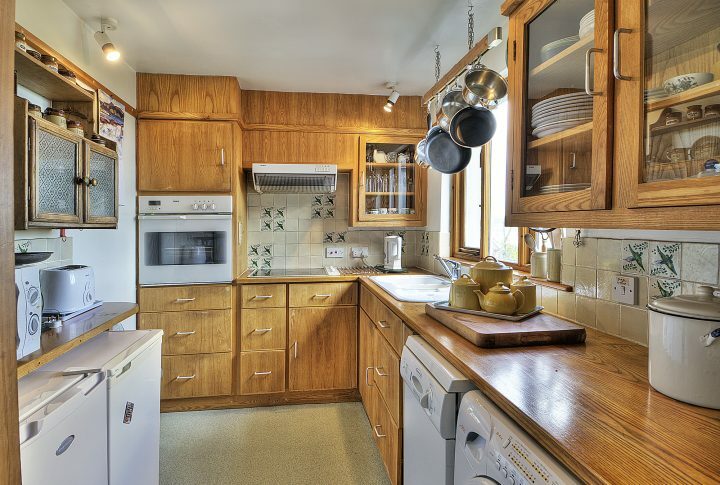 The kitchen is a modern extension to the cottage and is extremely well equipped with a; fridge freezer, dishwasher, washing machine/dryer with electric oven and hob. Wash your dishes after a meal whilst enjoying the beautiful valley views. Quaint master bedroom with kingsize bed, which will be made up for you when you arrive. Good drawer space and wardrobe. Views up the hill from the the window. This bedroom is rather small but makes a comfortable single bedroom. There is also provision to extend into a twin room, making it possible for two people to share. Good drawer and hanging space. The bathroom is part of the modern extension to the cottage and includes a bath and overhead shower. 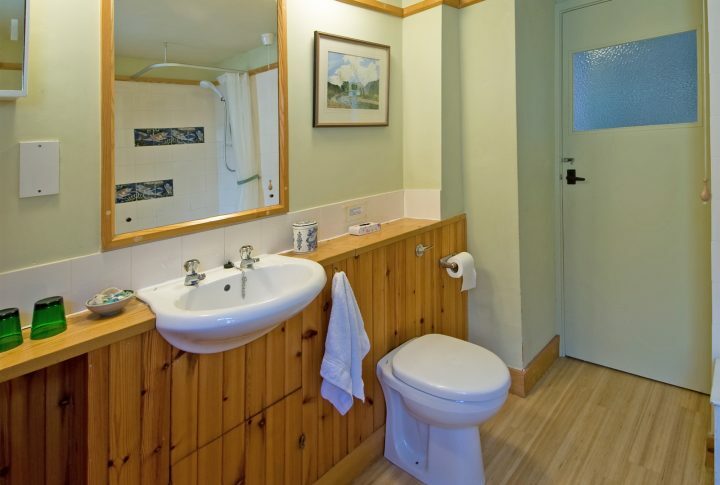 All towels are supplied and there is a heated towel rail. The rest of room is heated with a night storage heater. Northumberland has a truly spectacular coastline with no shortage of beautiful beaches to explore. From Spittal beach on the outskirts of Berwick upon Tweed to the picturesque village of Alnmouth and countless other gems in between. 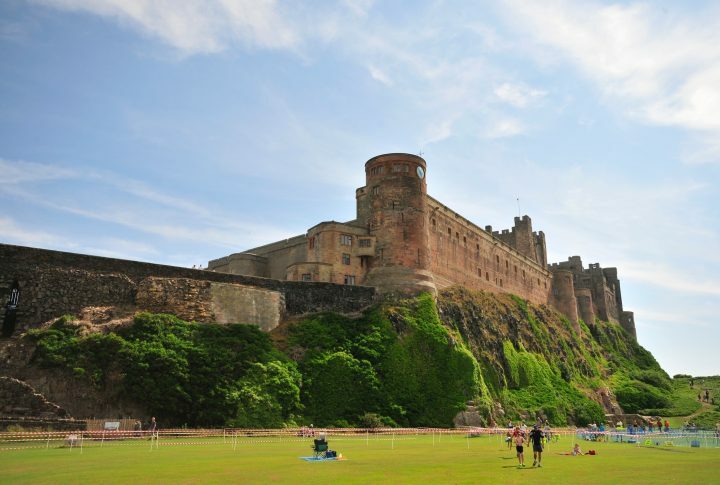 There are more Castles in Northumberland than any other English county. 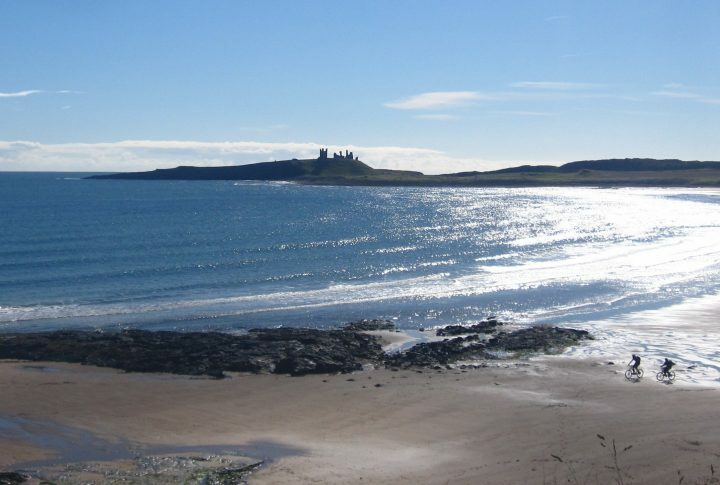 Visit the imposing Bamburgh Castle to the dramatic ruins of Dunstanburgh Castle near Craster. 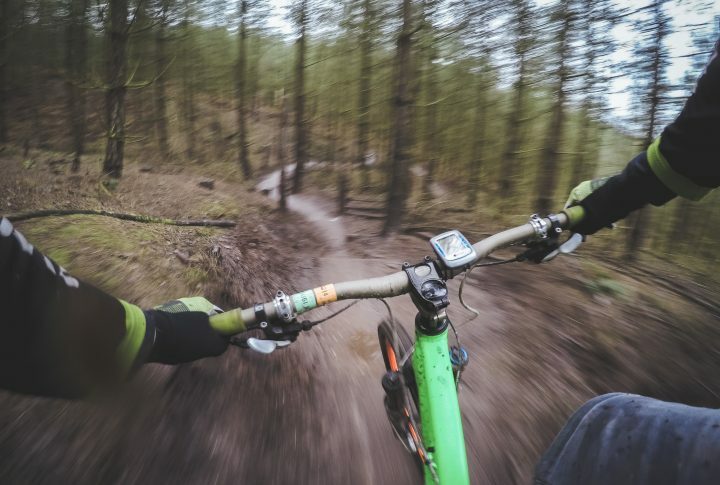 Whether you are looking for a long distance adventure or a shorter, relaxing stroll or cycle, Northumberland ticks all the boxes. The Northumberland Coastal path, St. Oswald's Way, Hadrian's Wall path, St. Cuthbert's Way and the Pennine Way all offer breathtaking views and unique challenges. 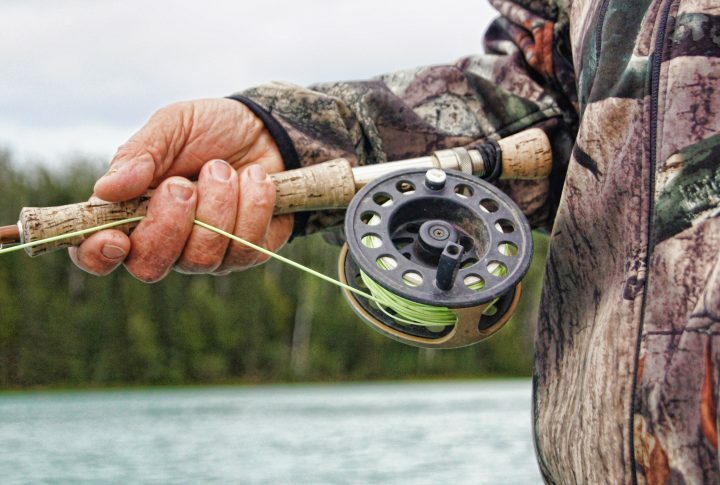 Bring your fishing rod and make the most of Northumberland's streams, rivers, lakes and coastline - no matter what type of fishing interests you, there is something for everyone. Northumberland is also a paradise for bird watchers with such a diverse landscape and array of species. 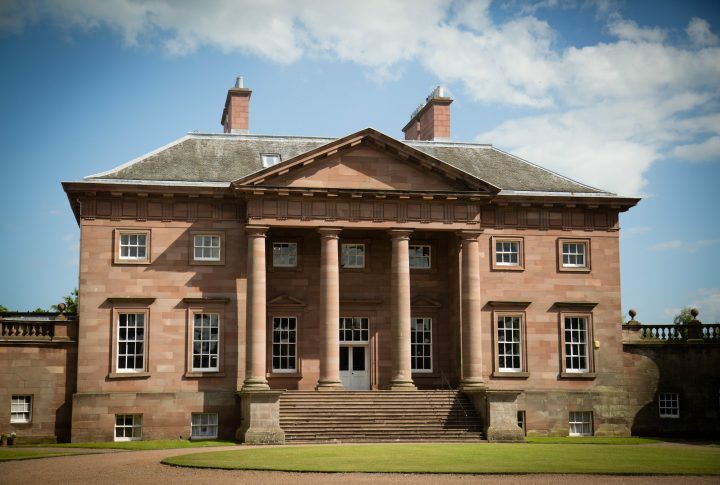 Absorb the history and grandeur of stately homes and gardens in both Northumberland and the Scottish Borders. From Paxton House just over the English & Scottish border to Alnwick Castle & Gardens to Howick Hall Gardens. All renowned nationally for their magnificent architecture and gardens. You will never find yourself at a loss for something to do in Northumberland. 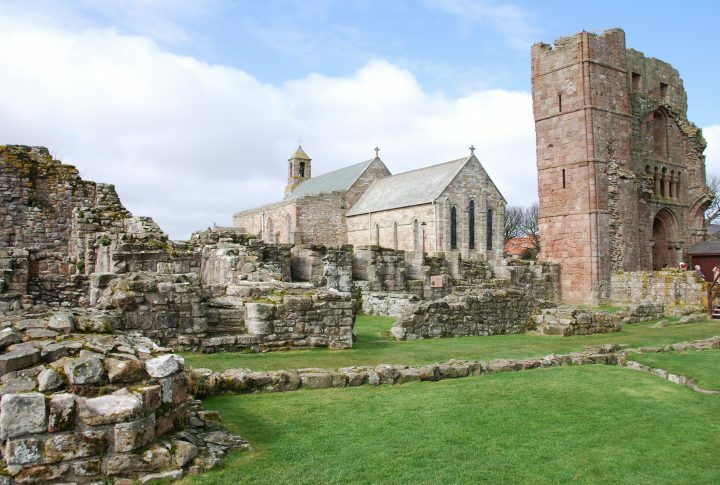 Why not visit the World Heritage Site of Hadrian's Wall, built by the Roman's circa 128 AD or cross the causeway to the historic Holy Island of Lindisfarne.